The Humanitarian Networks and Partnerships Week (HNPW), co-chaired by OCHA and the Swiss Agency for Development and Cooperation (SDC), provides a unique forum for humanitarian networks and partnerships to meet and address key humanitarian issues. Start Network will be at the event and will be featured in the following sessions. PANELISTS - Pascale Meige – International Federation of Red Cross and Red Crescent Societies | Sean Lowrie, CEO – Start Network | Brian Lander – World Food Programme | Neil Marsland – Food and Agriculture Organization. 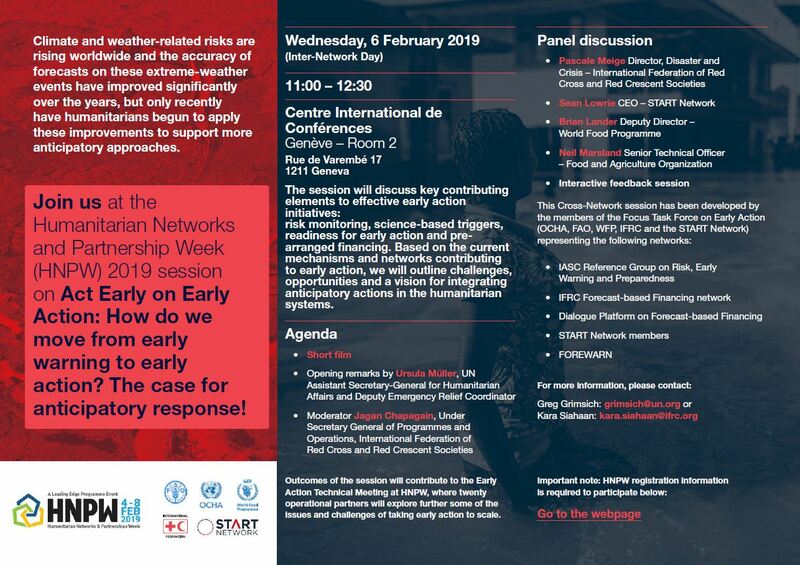 Start Network with IFRC, OCHA, FAO and WFP, a deeper dive into key challenges and enablers to Early Action, aiming to agree some clear and actionable multi-lateral priorities for the year ahead. Introducing a new framework for the humanitarian innovation community, to assess pathways to scale humanitarian innovations. 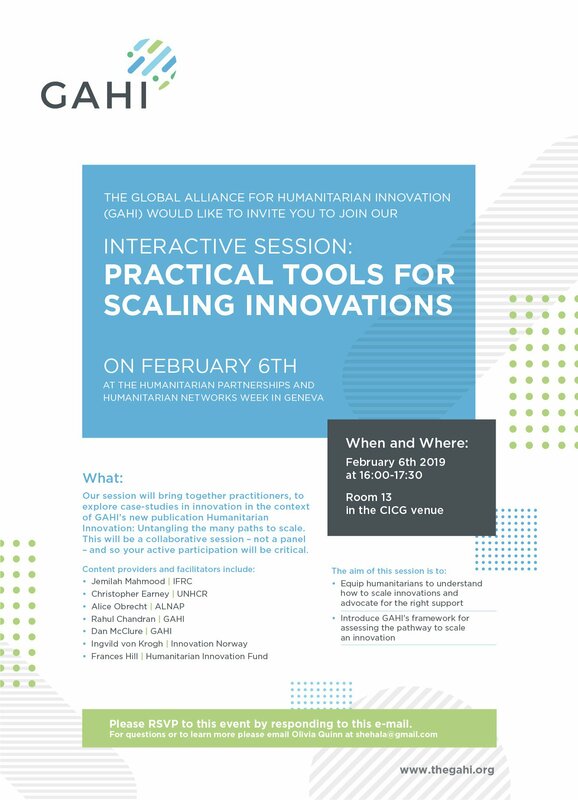 GAHI’s new publication will be launched, Humanitarian Innovation: Untangling the many paths to Scale. Break-out groups with innovation practitioners including Neil Townsend, DEPP Labs Manager, Start Network; GSMA; Innovation Norway; Humanitarian Innovation Fund. See the full Humanitarian Networks and Partnerships Week programme. Read more about Start Network's work in anticipation, risk financing and innovation.